The city that never sleeps deserves your full attention. That’s why, if you’re choosing to live in New York City, you should definitely consider Manhattan out of all the other boroughs you could live in. Not only is there a vibrant nightlife, but there’s plenty of food, activities, and transportation options to give you everything you need in your next home. No matter how great your local sports park is, nothing compares to the awesome spectacle that is Central Park. This sprawling, 843-acre pasture in the middle of one of the busiest cities on earth is home not only to relaxation areas and sports fields, but also Shakespeare in the Park, Central Park Zoo, and ice skating. Seriously, this is one of those places that you have to see to believe, and then once you’re there, you’ll never want to leave. Here’s a list of just some of their activities you can take part in. Cabs are so last millennium. If you want to get around town, there’s nothing better than hopping a bus to get from point A to point B, or, even better, buying a membership with Citibike. Choose from hundreds of locations, swipe your card, pick up a bike, and zoom through Manhattan efficiently and in style. If bikes aren’t your speed, there are also 150 subway stations to choose from, so there’s virtually no reason to buy a car. Ever. Comedy clubs were a staple of NYC nightlife since the 1970’s and that hasn’t slowed down a bit in Manhattan. People like Amy Schumer, Chris Rock, and Louis C.K. have all cut their teeth on stages like the Comedy Cellar, and if you’re lucky, you might catch one of them that drops in for an unannounced set. Or who knows, you might discover the next big star! Step outside and take your pick of any number of independent movie theaters, such as the Landmark Sunshine Cinema or Film Society of Lincoln Center. Either live or on the big-screen, there’s something for everyone. Ever see the movie Night at the Museum? That’s a real place (even if they don’t actually come to life); it’s called the American Museum of Natural History and it’s located in Manhattan. Come face to face with prehistoric animals or learn about Manhattan history that started way before the settlers came over. For art lovers, there is the Metropolitan Museum of Art and the Guggenheim, both of which can take you to another world. No matter your budget, taste, or style, there’s something for everyone in Manhattan. Century21 is by far the best discount store in Manhattan, but if that’s not your speed, you can head down the Lower East Side down to SoHo and pick from dozens of boutiques. If you’re more of a bargain hunter, there’s also a wide selection of thrift stores to choose from, where you can get Manhattan style for a fraction of retail cost. 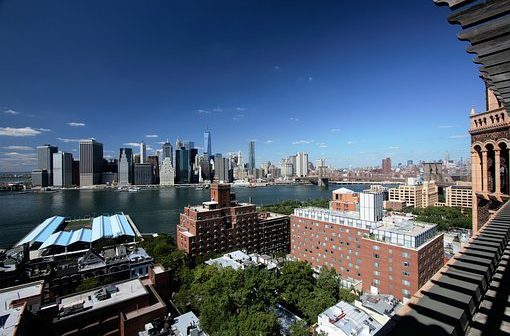 New York City is known for having sky-high rental fees in just about every borough, but if you look hard enough, you can still find some steals in Manhattan’s rent-controlled areas. Head east past Morningside Heights and you can get a rental at a price that is unheard of everywhere else in the city. The best part? You’re within walking distance of some of the best activities in Manhattan. Christmas in Manhattan is unlike anywhere else on earth. Even a five-minute walk in the blistering cold can feel like you’re walking in a winter wonderland amongst the lights and sounds of the holiday season. Ice skating rinks galore and Christmas trees as tall as buildings dot the landscape as far as the eye can see. And, if that weren’t enough, the annual Macy’s Thanksgiving Day parade is one of the cornerstone events of the year; as a resident of Manhattan, you’ll be able to step right out your backyard and experience the magic firsthand. Answer honestly, would you want to be anywhere else? Kelly is DailyU’s lead blogger. She writes on a variety of topics and does not limit her creativity. Her passion in life is to write informative articles to help people in various life stages. What you Can Learn from a Personal Trainer? August 18, 2014 0 Order Food Online: But Do They Deliver? DailyU is an online news magazine covering a wide range of topics including business, entertainment, health, money, style and travel. We literally have something for everyone. Our mission is to enrich the lives of our readers through our passionate and informative writing.